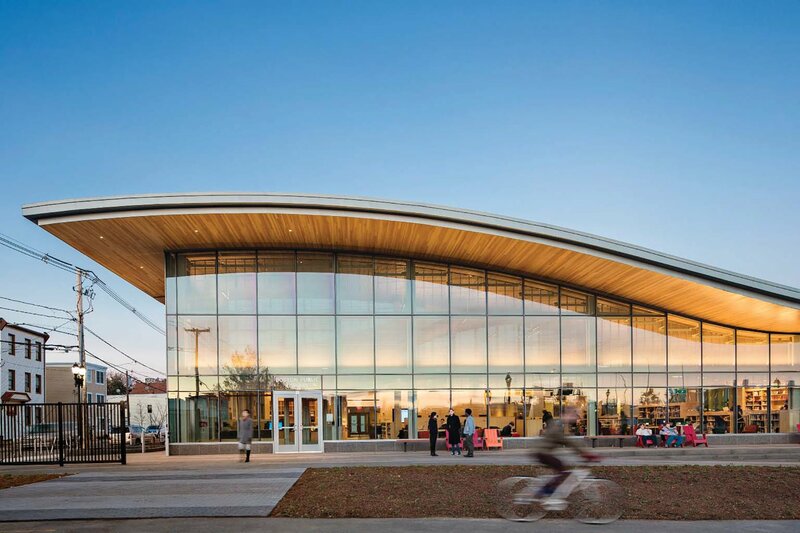 The East Boston Public Library pairs both aesthetic and ideological beauty in a compelling articulation of form and community. 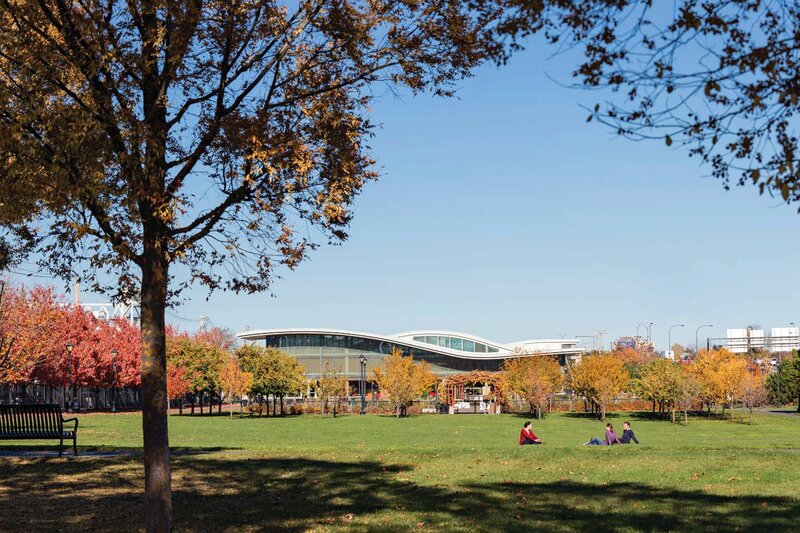 This powerful public place creates and connects community both inside and out. Indeed, the library building forms a strong axial relationship with both the surrounding landscape, and the city beyond. 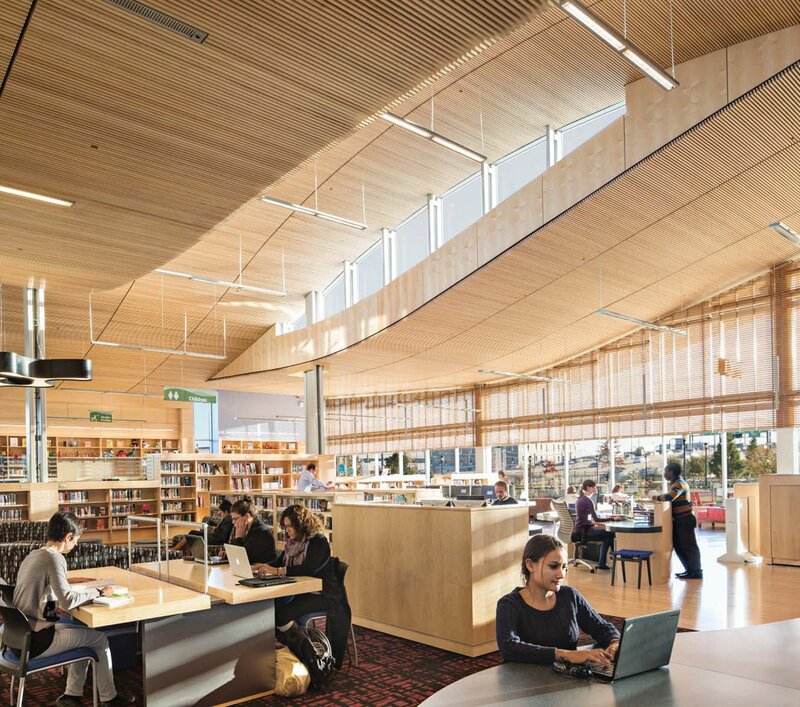 This fluidity and connectivity is reflected in the building’s sweeping, undulating, wood-clad roof which features interspersed skylights that fill the library’s expansive reading room with natural light and energy. However, the space’s connection to the surrounding context and community does not stop here. Inside, the expansive glass curtain wall along the garden-facing reading room façade blurs the line between the landscape and building. Natural wood screening elements bring a sense of warmth to the space while shielding it from direct light. 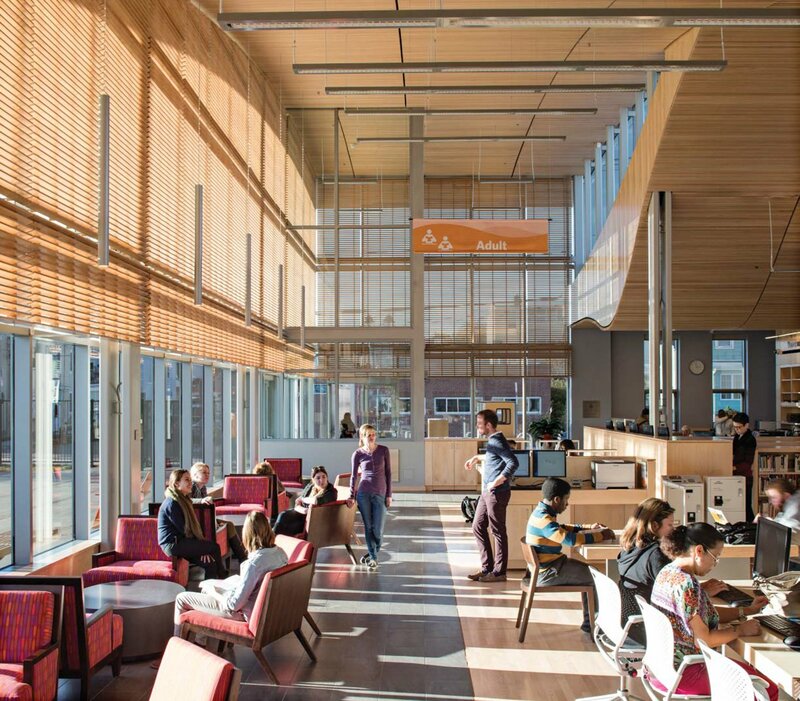 The jury also noted the subtle, varying floor plane within the main reading room space that inventively accommodates a great diversity of library programs, allowing users to feel a strong sense of connectedness to one another in a cohesive, light-filled space. 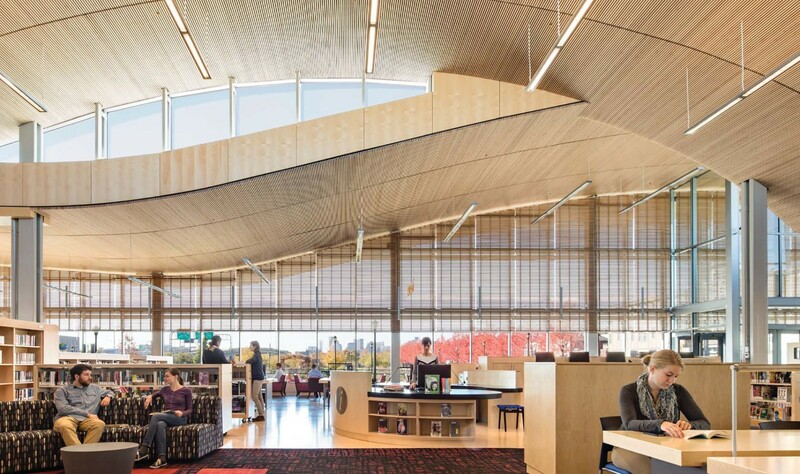 As a result of this thoughtful blending of program and people, the jury believes the library and its central reading space is a highly successful example of the ability of architectural beauty to foster a true sense of community.